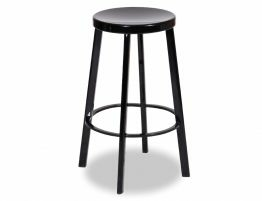 The El Ron white designer counter stool offers a look that strikes the right note whether you are in search of a chic, modern barstool, a minimalist bar stool or a clean, natural look for your counter dining or bar. 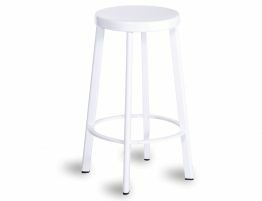 With a white powder coated steel base and a natural wood seat, this barstool is pretty to look at and built to last. 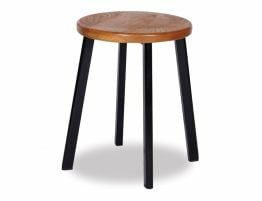 Find the best modern kitchen barstools at Relax House where we have a look for every kitchen and many of the most sought after modern bar stool designs. 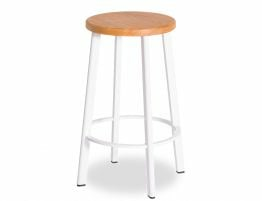 The right barstool can completely change the look of your space and it is a comparatively easy and affordable kitchen update. 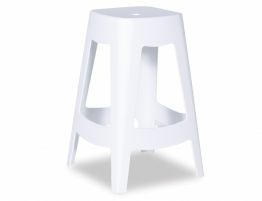 With these modern barstools, you get a clean, uncluttered look. 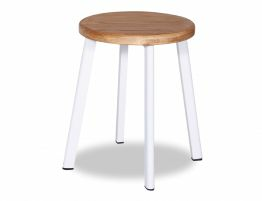 Let these modern kitchen El Ron Counter Stool 66cm - White Frame w/ Timber Seat barstools transform your counter seating or breakfast bar. Infuse your space with an airy, contemporary feel. 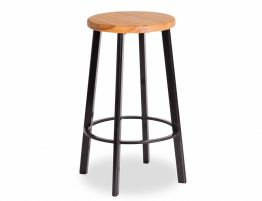 With Relax House, we offer a wide range of modern barstools and backless counter stools for home or commercial barstool needs.